One of the biggest architectural head-to-head matches of 2014 has come to an amicable end. As AN reported last fall, Zaha Hadid sued New York Review of Books critic Martin Filler for defamation for comments he made about her in a review of Rowan Moore’s Why We Build: Power and Desire in Architecture. 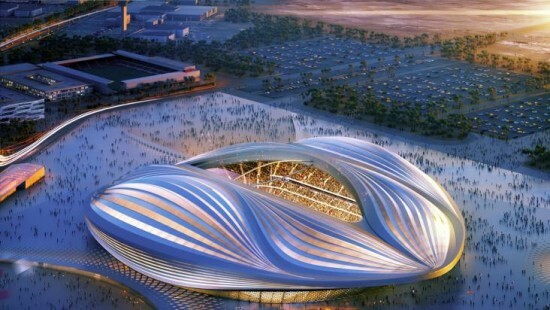 In his piece, Filler knocked the starchitect’s record on workers’ rights, writing that an “estimated one thousand laborers” had died working on the Al Wakrah Stadium (above) she designed for the 2022 World Cup in Qatar. As it turned out, construction on that project hadn’t even started yet.